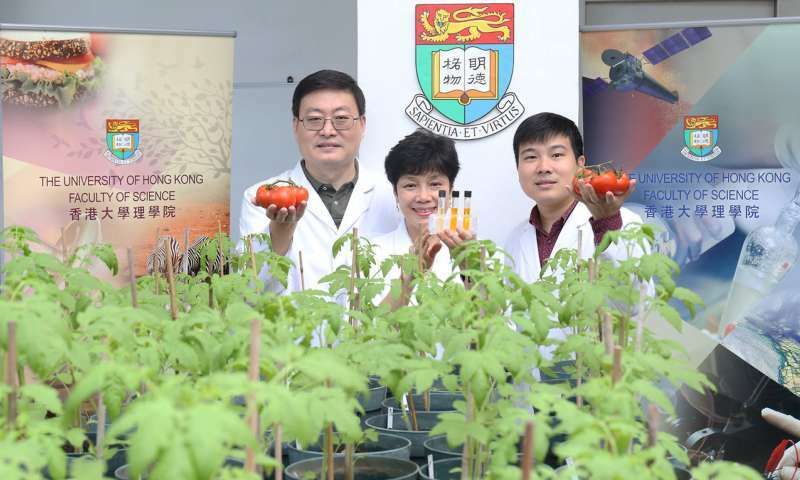 The School of Biological Sciences, Faculty of Science, the University of Hong Kong (HKU), in collaboration with the Institut de Biologie Moléculaire des Plantes (CNRS, Strasbourg, France), has identified a new strategy to simultaneously enhance health-promoting vitamin E by ~6-fold and double both provitamin A and lycopene contents in tomatoes, to significantly boost antioxidant properties. The research group manipulated the plant isoprenoid pathway through the utilization of a variant of 3-hydroxy-3-methylglutaryl-coenzyme A synthase (HMGS). The overexpression of HMGS in tomatoes increased not only phytosterols, squalene, provitamin A and lycopene, but also vitamin E (α-tocopherol) by 494%. The HMGS DNA used in these experiments originated from a food crop, Brassica juncea (Indian mustard), that yields edible leaves, stems and seeds, the latter used in vegetable oil production. Earlier, this research group reported that the recombinant HMGS variant S359A (in which amino acid residue "serine" at position 359 was switched to "alanine") exhibits 10-fold higher enzyme activity. 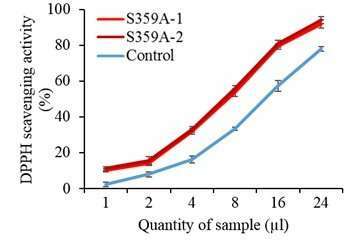 The introduction of S359A in the model plant Arabidopsis increased phytosterol content. Now, the research group has introduced the S359A into tomatoes, a crop plant. 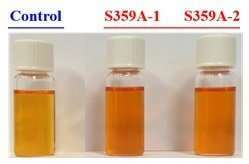 Although there were no differences in the appearance and size of the transformed tomato fruits, total carotenoids including provitamin A and lycopene increased drastically by 169% and 111%, respectively, as observed by a deeper colour of carotenoid extracts in S359A tomatoes over the control. Furthermore, these carotenoid extracts exhibited 89.5-96.5% higher antioxidant activity than the control. Besides carotenoids, the transformed tomatoes displayed elevations in vitamin E (α-tocopherol, 494%), squalene (210%), and phytosterols (94%). These observations were attributed to the increased expression of genes in the isoprenoid pathway. Professor Chye Mee-len who led this research said: "Increasing health-promoting components in crops is an important research area that aligns with the aspirations of Dr Wilson and Mrs Amelia Wong on the use of plant biotechnology for a sustainable future. The accumulation of the healthy components in food crops would provide added-value to fruits and vegetables in the human diet, as well as enrich feed for livestock and aquaculture." Dr Wang Mingfu added: "Extracts with enriched phytosterols, vitamin E and carotenoids can be used in the production of anti-ageing cream and sun-care lotion. These compounds show excellent anti-inflammatory and antioxidant activity." This research has been reported recently in Plant Biotechnology Journal.